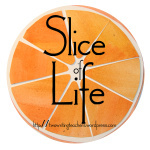 So, Slicer Friends, we are excited that this IS going to be a repeat . . . but we are hoping for different outcomes this time! I am filled with JOY (#OLW) and so proud of my Iowa Teams! If this sounds vaguely familiar, here’s how it looked last year during the March Challenge! Three teams from Iowa dancing. March Madness. ISU, #4 seed, is headed to Denver. UNI, #11 seed is headed to Oklahoma City. And the Hawkeyes, #7 seed are headed to Brooklyn! Most recently both Iowa and ISU were out early in their conference championships but UNI went the distance. What will be the NCAA results this year? How far will each team go? How far will your bracket go? If you don’t have basketball brackets, what about book brackets? These brackets are courtesy of Dana and Sonja, AKA @litlearnact, and you can read about them here. Or what about these instructional strategy brackets from Dyan last year? You can learn more about Instructional Strategies Brackets here. What work can you organize with brackets? Where will you consider using brackets? Process: I watched the brackets tonight as well as a statistics professor on the news breaking down the odds of winning (1 in 76 billion chance of winning with a perfect bracket). The idea was still swirling in my head during the Sunday night “hour long” local news. Fresh new ideas this year: Des Moines to host Regionals and connecting both Book Brackets and Strategies Brackets. I went to look for book brackets and immediately found Dana and Sonja’s bracket post from January and then the post from last March about Dyan’s strategies. I decided to add “Joy” (my #OLW) and then I had my title and focus for the article. Time to draft. Revise, edit, preview, tag, grab the photos for the 3 Iowa schools, and “Voila”! (2nd day in a row that I searched for my photos while still drafting in my head. Depending on photo/visual selection – narrative could vary so why write until selected?) Post drafted during the last half of the news. Eureka – post early (after 11 pm CDT)! 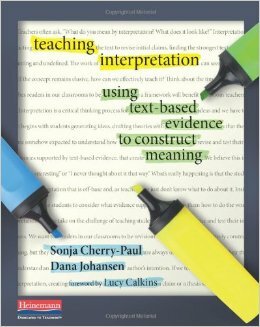 My pre-conference session, “Reading with Rigor: Interpreting Complex Texts Using Annotation and Close Reading Strategies” today is with the authors of this book. Today, from 9 am to 5 pm, all day, with these two talented ladies. Sonja Cherry-Paul and Dana Johansen. One hour closing workshop at #tcrwp last year gave me enough info/fuel for ages. Hmm? What will I learn in an entire day? – Participants will learn strategies they can use with students for close reading, annotation, shared reading, and independent reading. – Using an interactive, hands-on approach participants will explore ways to teach students how to identify and analyze literary elements such as symbolism, theme, mood, and figurative language, in ways that lead to stronger interpretation of complex texts. #ILA15 Begins . . .
St. Louis? Yes, St. Louis! 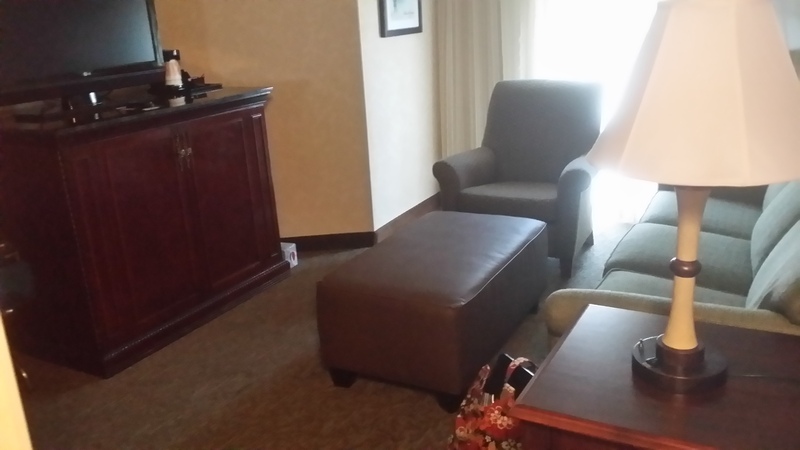 Here’s my writing room for the next four days! 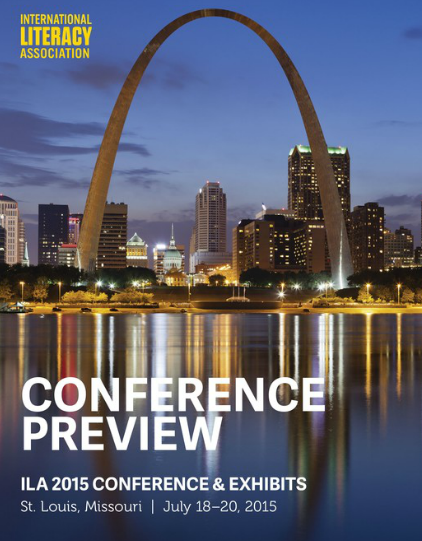 What will you be learning at ILA15?